For National Women’s Month, AIA Pittsburgh is partnering with Point Line Projects to highlight some of the women architects and designers making an impact in Southwestern PA. Here, Columns Editor Maya Henry imagines how Pennsylvania’s first registered woman architect, Anna Wagner Keichline, might have responded in a Dossier feature. Join the conversation on social media with the tag #AIAPghWomensMonth. Firm: Anna Keichline, Architect, Bellefonte, PA.
Family: I never married or had children, but I am a devoted aunt. 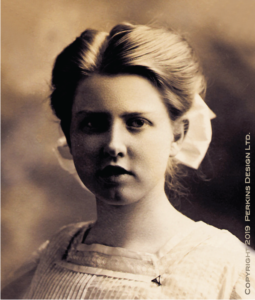 My great niece, the industrial designer Nancy Perkins, continued my tradition of design innovation and holds three patents. 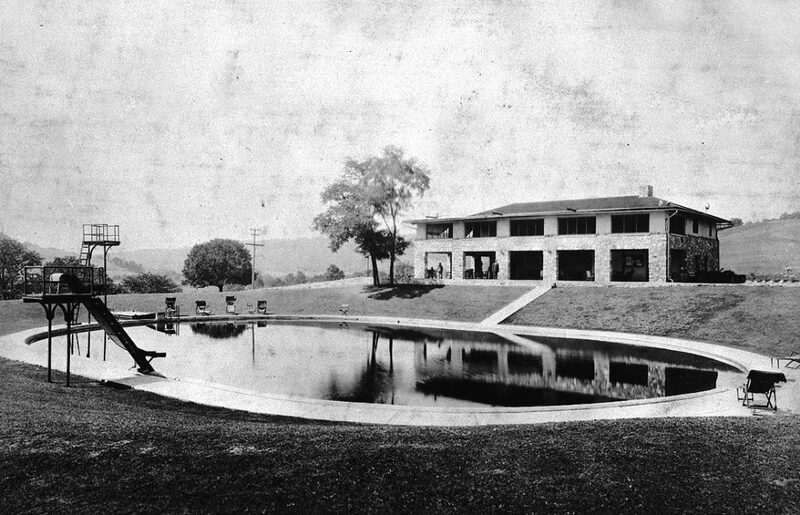 Architectural practice: I was the first female registered architect in Pennsylvania and one of the first women to practice architecture in the United States as a registered architect. Your most exciting job: That would have to be when I volunteered as a Special Agent for Army Intelligence in WWI. 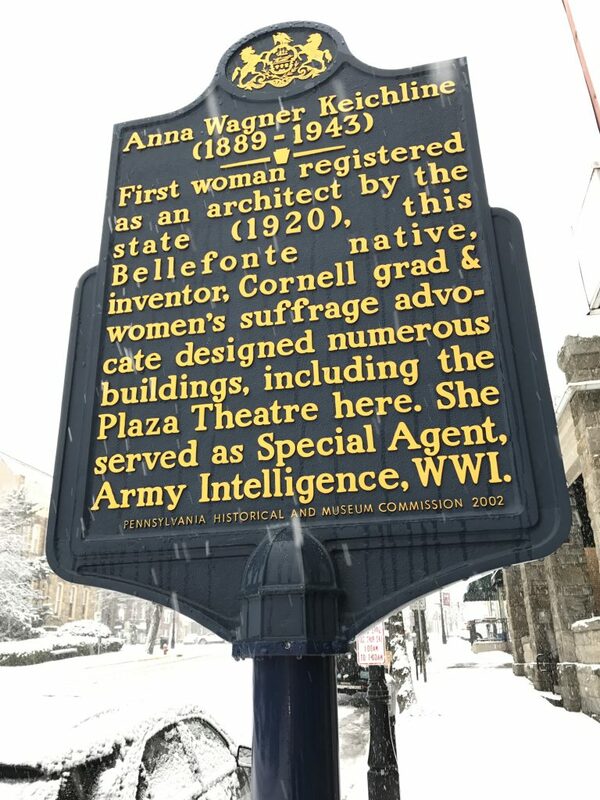 PA Historical and Museum Commission plaque dedicated to Anna Wagner Keichline in Bellefonte, PA. Photo courtesy Michelle Fanzo. Favorite material: I had a patent granted in 1927 for the ‘K Brick,’ (above) a forerunner of the modern concrete block. It was a clay brick for hollow wall construction that proved to be much more versatile than its predecessors. Fireproof, cost-effective and lightweight, the K Brick can be filled with insulating or sound-deadening materials. 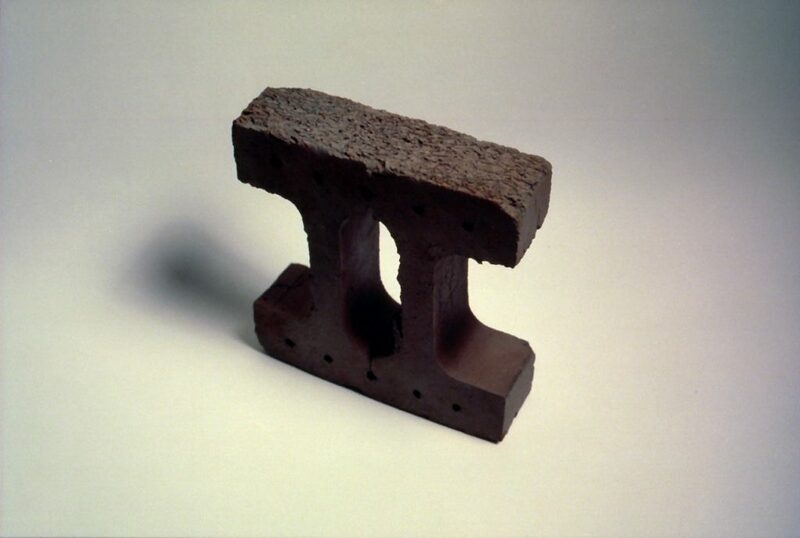 I wrote an article entitled A Tile Designed to Effect a Scientifically Built Wall, and explained that the K Brick “requires less clay to make than brick and because of its design, takes less time to fire…the tile would reduce the weight of the wall by one-half.” The American Ceramic Society recognized this invention at its annual meeting in 1931. Favorite building: Plaza Theater, Bellefonte, PA which I designed in 1925. Best gift to give an architect: Carpentry tools so they can work with their hands. If you hadn’t become an architect, what would you have been? A carpenter, inventor, or woodworker. If you could live anywhere in the world, where? Germany, because I am fluent in German, a skill that served me well as a special agent in WWI. What’s on your iPod/Pandora/Spotify? I am not quite sure what you mean, but I did just purchase a fine record by Bessie Smith. The secret to my success: My parents. At an early age, they recognized my talents and interests by building a workshop for me to use and giving me access to carpentry tools. Maya – this was really well done. Great concept and execution.